I have several gaming & geeky friends who are expecting a child in the next few months so I thought I’d try to find something different for a gift. 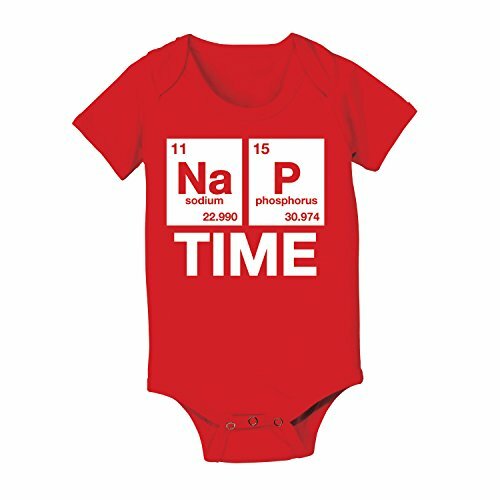 I had no idea there were so many nerdy, geeky baby gifts available so I put together this list of my favorites for you. 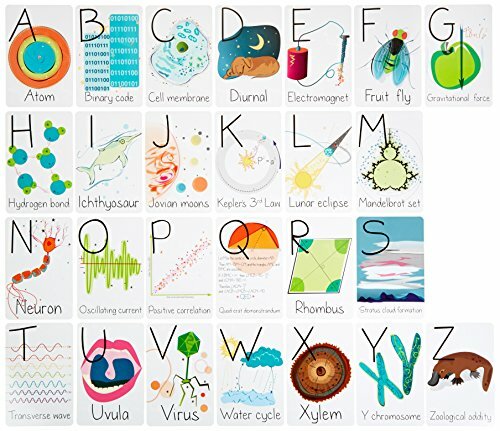 I remember learning my alphabet with animal cards but I don’t remember number cards. 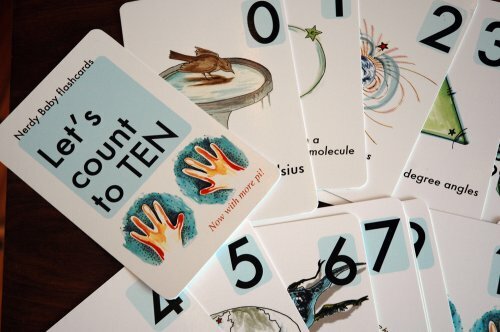 Both these sets are science based so A is for Atom, B is for Binary etc and the number cards are fun too. 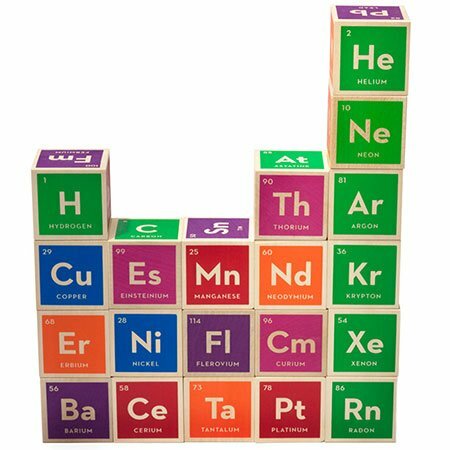 I’m not sure periodic table building blocks teach much out of order but I thought they were cool so I included them! 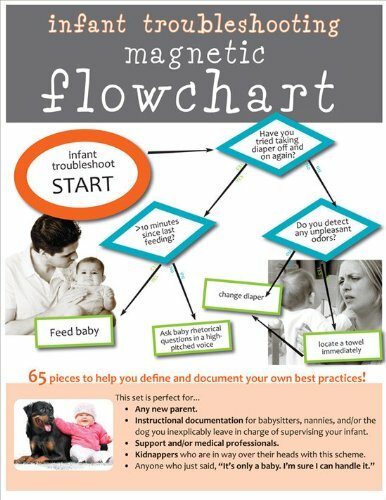 This next group comprises of some great books about babies – there’s a troubleshooting flowchart magnet set which could be a fun gift for a first time dad. 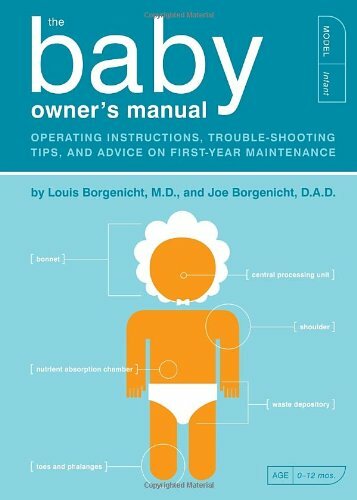 I love the baby Owners manual – it’s a direct spoof on the Haynes motor vehicle manuals my dad had so many of in my childhood but it is full of useful information for any new parent. You can have a look inside the book by clicking the link – I have no interest in babies but I still read most of the available preview stuff! Any new parent will know just how quickly a baby can mess up clean clothes so a good supply of onesies is always a good idea. 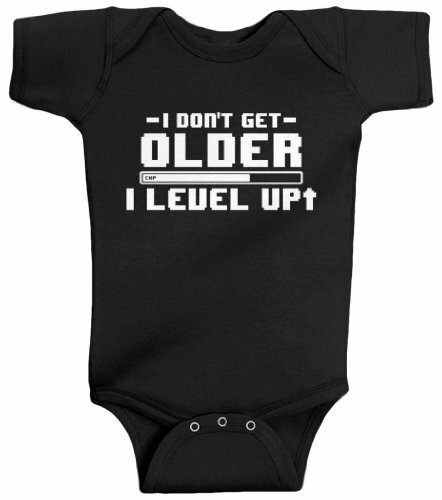 I love the little batman bib & hat set too but my favorite is the gaming onesie – I don’t get older, I just level up! I’ve been saying that for years now lol. 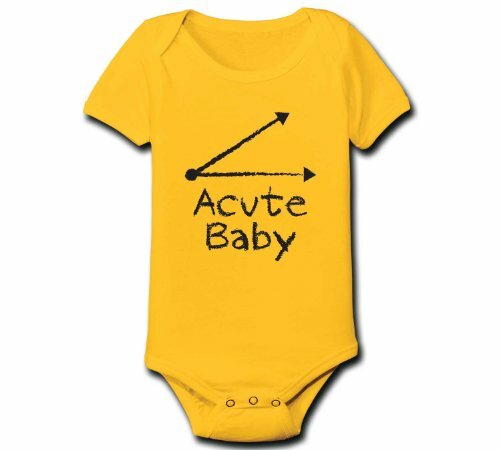 Another favorite of mine is the math onesie – this listing only shows it available in yellow but there are other colors listed elsewhere too. 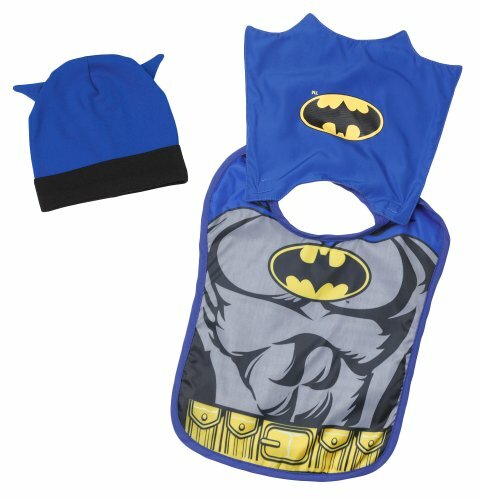 I thought the baby geek cartoon bib was super cute – it would make any new geeky mom smile, I’m sure. Last up is a pair of books for the grown ups – I had heard of Go the F**k to Sleep a while ago and having had a peek inside, it made me laugh. 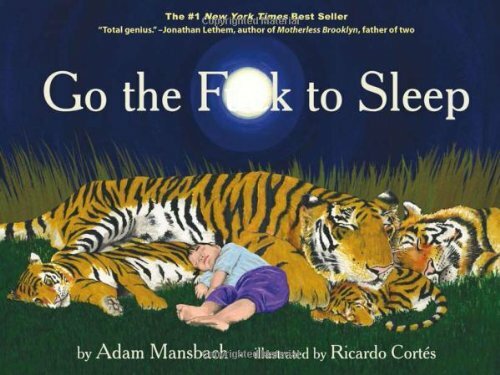 I’m sure any parent struggling to get a child to sleep would appreciate the humor in this book. It is obviously an adult book but it is written in the style of a child’s bedtime story book which I think makes it even funnier! 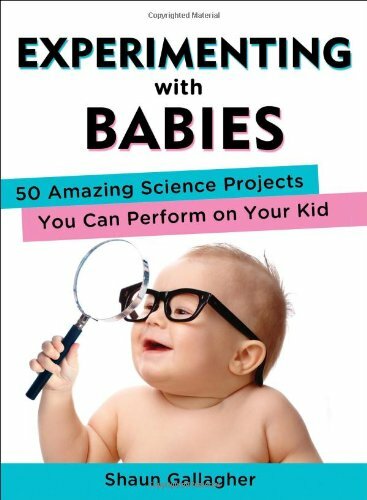 Another book I found really interesting to flick through was this Experimenting with Babies – but don’t panic! It’s all very safe, observational type experiments so no harm is done but it does help new parents observe things that perhaps they might miss on their own. 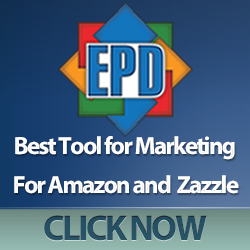 It’s based on academic developmental papers and pinpoints different things that normally happen at certain age points. I found it fascinating even without a newborn to experiment on! 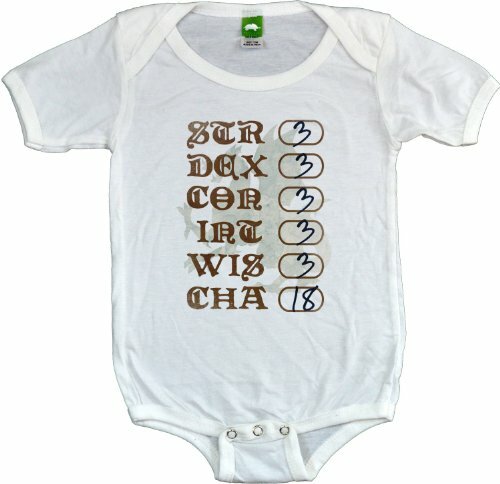 I think I’ll be getting a whole bunch of geeky onesies for my friends new baby but I’ll get the 6months+ size – she already has so many clothes for a newborn. 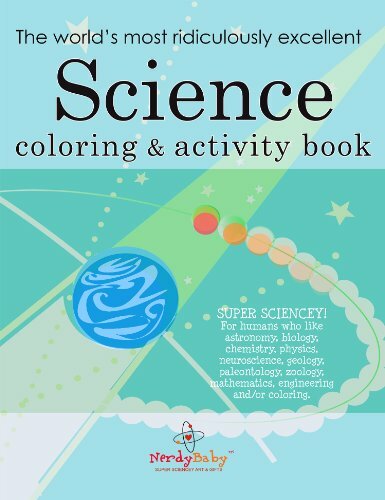 I’ll probably get the Experimenting on Babies book too – just because I want to try some of them out myself! You can find more ideas in my first Geeky Baby Gifts post. If you have a problem finding a great gift for the geek or gamer in your life, you can drop us some details in the comments section below and we’ll try to find some great ideas for you. You can also leave a message in our Gifts for Gamers subreddit or on our Gifts for Gamers and Geeks Facebook page.